Before I start this article, I want to make something clear – Rockstar is one of the best developers working today and not once did they release a bad product! No matter what genre they tackle: action, open-world or detective adventure, they always deliver polished and meticulously crafted games. And even considering all the dreadful things I am about to say, GTA V is still fun, it’s well optimized, beautifully looking and provides good bang for your buck. But only if you take into consideration all that is about to be acknowledged! 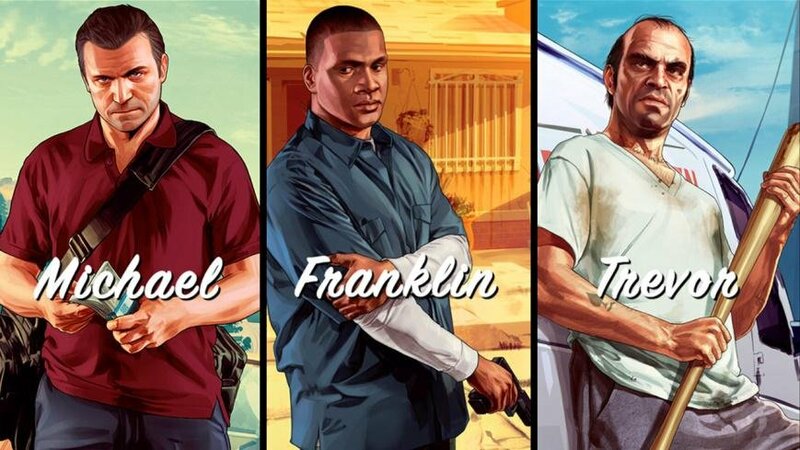 Let’s begin with something that Rockstar absolutely nailed this time around – the three playable protagonists: Michael, Franklin and Trevor. In previous installments, and especially in GTA 4, you played as a presumably good people, which got incredibly incongruous by the end, when you have killed half of population of the city you were currently in. Or if during any of those hours you went on rampage and mowed down hundreds of police officers, who were merely responding to a threat and had to open fire when you refused to cooperate. GTA V all of the main cast and lso the side-characters are complete narcissistic, money-driven and irredeemable bastards. You are not supposed to sympathise with them, but rather to see the reflection of all humanities worst sins: pride, lust, anger, you name it, they not only exhibit these qualities, but also show the player where choosing such path can lead. At one point there is an exchange between Michael and Franklin, and the latter outright says that robbing, stealing and killing are the only work that has ever paid off for him and it’s the only work that he can do! That’s not to say that Rockstar has made them completely unsympathetic or we would never care about the story – all three main guys, although still criminals, but operate under a code and are loyal, at least, to each other, and sometimes show signs of innocence in their dialogue and actions. And, surprisingly, Trevor is the one who gets most of such moments, keeping in mind that he is the most mental out of the trio, showing remorse for his actions and outright love to others, very peculiar, but love nonetheless! Although it must be noted that Franklin is written somewhat weaker out of three of them and at times comes off as whiny rather than struggling. 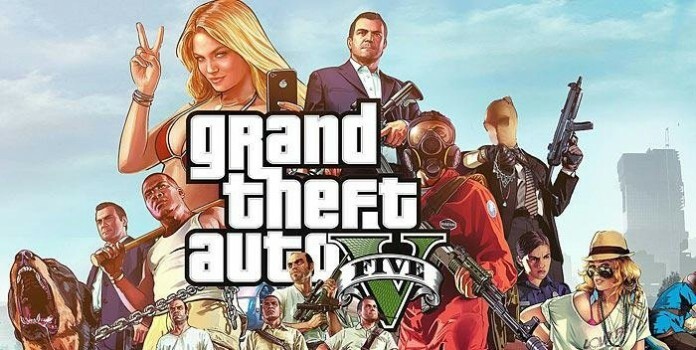 But even with that in mind, this iteration of GTA finally achieves the complete feeling of connectivity between your actions as a player and your actions as a protagonist of this story, and never once will you feel disconnected from anything going on screen. But it also shines a big spotlight on one of the main problems I have with the game – lack of focus or central mechanic. While the characters are fun to watch interact and progress through the world, there is no overarching goal. You just do stuff, sometimes absolutely random at that. One that sticks out the most is where you take control over a docking crane, and have to manually attach, detach and stack containers in the port. Or another where an entire mission consists of pursuing a member of a rival gang, which in return you think would escalate into an exciting shootout or fast-paced car chase, but instead you follow the guy in a mini-van, then you play a game of hide and seek with the gangster, opening carriage doors and switching the view between Franklin and your pet dog Chop, which is as interesting as it sounds, only amounts to staring through poor animals eyes without the ability to control it, and then you let the perpetrator go. That’s it, end of story. And missions like that are ubiquitous throughout the entire campaign. That’s not to say that there is no fun to be had here. “Hood Safari” is perhaps the best example of GTA V at its best, during which Trevor and Franklin engage into an all-out firefight on streets of Los Santos. Bullets flying, cops and criminals are getting shot, and, of course, it all ends with a high-speed police chase, during which you have to shake of the tail. This is my idea of fun! Playing a mission where you do yoga 10 hours into the game is not only baffling to me as a gamer, but also as a character that would expect things to escalate at that point. This lack of focus is only third of the problem. 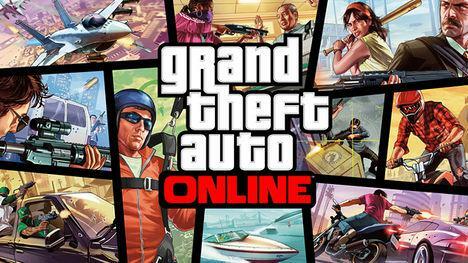 Another third is the fact that half of the content is locked to GTA Online or as I like to call it GTA Loading. 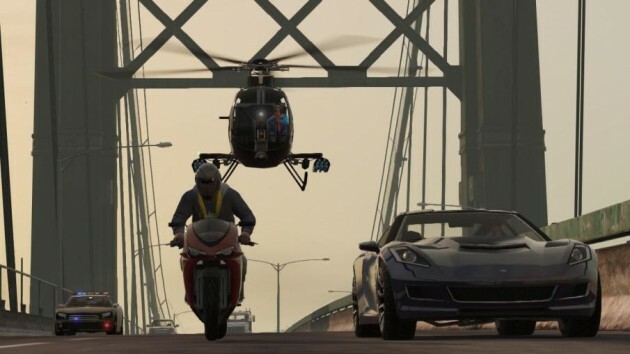 Much touted heists truly shine in the multiplayer, because in the campaign there are only 6 of them and all are heavily scripted, while in GTA Online you can approach each one from a different angle and with far greater variety! Stealing jets, stealth mission’s with night-vision goggles – sounds un, doesn’t it? There are even some characters that you can only meet in GTA Online that you couldn’t in the main story! I don’t know whose brilliant idea it was to restrict half the content to the online. Who thought that subtracting additional heists, the main “theme” of the game I remind you, would in somehow benefit a primarily single-player oriented series? Well you can only do most of them online and not in campaign, which, ironically, would add a lot of value to the game and somewhat soften the blow done by the unfocused nature and the driving. Which brings me to my last problem – driving. Again, I don’t know who on the development team decided to make the cars handle this arcade, but he deserves a vicious spanking by the biggest rafting paddle you can find! In GTA V the cars and motorbikes are incredibly sensitive, which is especially noticeable when using mouse and keyboard, and because of that feel more like toys. You can no longer perform stylish brake-turns like you did in GTA 4, now they make a turn the instant you push the directional arrows or WASD left or right without the sense of weight and reaction-time! And that’s not even considering the airplane or helicopter handling whom, contrary to the twitchy nature of land-vehicles, control extremely rigid and stiff, which completely ruins the sense of immersion, because entering any vehicle becomes an exercise in annoyance and frustration. Why did they do that?! Rockstar has already mastered it in the previous installment, but for some reason decided to take a giant step back and make it less fun just to cater to the arcade crowd! With all that said, GTA V is still fun to play. The gunplay works crazy well with responsive, although not perfect cover mechanics, meaty-sounding weapons and wide variety of ordnance to choose from. The open-world feels truly alive and vibrant, more so than in any previous installments, with unparalleled attention to detail: the pedestrians exchange little lines of dialogue and will react to your every action, there is finally wildlife in this universe and if you just stand still the world will continue living on. That is a mark of an excelled world design – one that you can actually imagine existing even when you turn your console or PC off! The attention to detail in general is mind blowing, ranging from main characters interactions and noticing each other changes in appearances, to small graphical quips, such as the light from your phone screen reflecting on your characters face whenever he calls someone or just simply browses through its content! Speaking of graphics, I played a little of GTA V when it came out on consoles, but found it ridiculously lacking both on Xbox 360 and PS3 in terms of textures and sometimes overwhelming amount of pop-ins. It did look a lot better on the current-gen, but, as no surprise, the PC-version is the definitive one. Deeper textures, better draw distance, not to mention 4K resolution (if you can support it) and it’s all complemented by running at 60FPS which when cranked up to ultra-settings is a sight to behold! It’s also well optimized with a wide variety of settings to choose from and in the end serves as a perfect coating to the game’s at times stumbling gameplay. GTA V is not a bad game, but not a perfect one either. For every step forward, like the aforementioned characters and world design, the franchise takes there are two steps back, like driving and lack of overall focus that just cannot be dismissed. If you can ignore inept car, motorcycle, helicopter and plain control, and a lack of overall structure than what you have on hand is a beautifully realized and interestingly written time-sink. No more, no less. 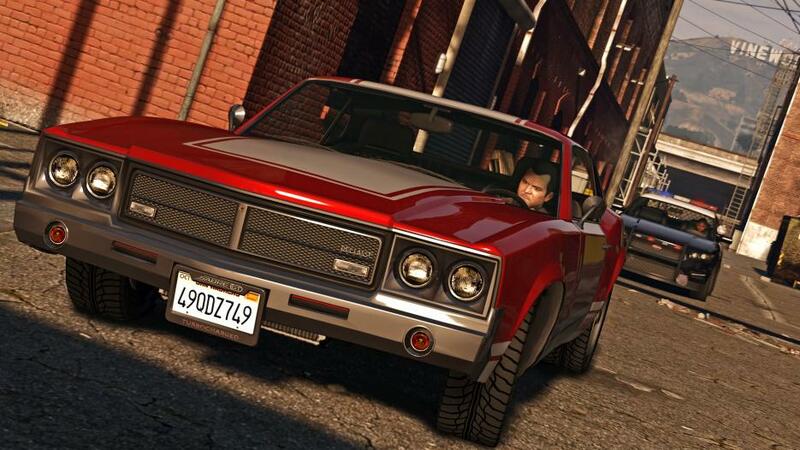 And if time-sink is all what you are looking for than GTA V will suffice. But my heart is broken. I am no longer excited for the future of this franchise, because people bought it, they bought it a lot and no one seems to have any of the problems that I just listed. Perhaps it’s because of 2 years of anticipation or the overall hype that surrounds the game, I’ll never know. But maybe by writing this article I can get people to reevaluate their opinion and look at Grand Theft Auto V from a different perspective? Because in the end, sometimes perspective is the only thing that counts in this twisted and, from time to time, incomprehensible world of outlooks on what makes a game fun.